Draft: 2007, San Diego Padres, CAth rd. May 8, 2017 LHP Cory Luebke retired. May 2, 2017 Charlotte Knights activated LHP Cory Luebke from the 7-day disabled list. April 6, 2017 Charlotte Knights placed LHP Cory Luebke on the 7-day disabled list. January 20, 2017 LHP Cory Luebke assigned to Charlotte Knights. 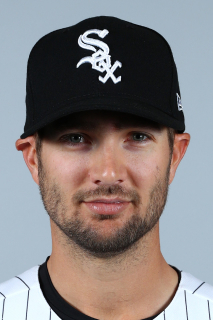 January 12, 2017 Chicago White Sox signed free agent LHP Cory Luebke to a minor league contract and invited him to spring training. November 7, 2016 LHP Cory Luebke elected free agency. July 20, 2016 LHP Cory Luebke assigned to Batavia Muckdogs from New Orleans Zephyrs. July 16, 2016 LHP Cory Luebke assigned to New Orleans Zephyrs from Jacksonville Suns. July 9, 2016 LHP Cory Luebke assigned to Jacksonville Suns from Jupiter Hammerheads. July 7, 2016 Miami Marlins signed free agent LHP Cory Luebke to a minor league contract. July 7, 2016 LHP Cory Luebke assigned to Jupiter Hammerheads. June 26, 2016 Pittsburgh Pirates released LHP Cory Luebke. 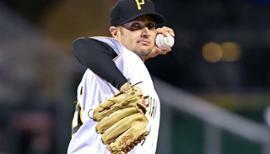 June 18, 2016 Pittsburgh Pirates designated LHP Cory Luebke for assignment. June 4, 2016 Pittsburgh Pirates recalled LHP Cory Luebke from Indianapolis Indians. May 19, 2016 Pittsburgh Pirates optioned LHP Cory Luebke to Indianapolis Indians. May 15, 2016 Cory Luebke roster status changed by Pittsburgh Pirates. April 21, 2016 Pittsburgh Pirates sent LHP Cory Luebke on a rehab assignment to Indianapolis Indians. April 14, 2016 Pittsburgh Pirates placed LHP Cory Luebke on the 15-day disabled list. Right hamstring tightness. April 3, 2016 Pittsburgh Pirates selected the contract of LHP Cory Luebke from Indianapolis Indians. 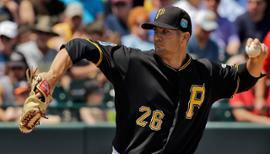 February 11, 2016 Pittsburgh Pirates signed free agent LHP Cory Luebke to a minor league contract and invited him to spring training. February 10, 2016 LHP Cory Luebke assigned to Indianapolis Indians. November 4, 2015 LHP Cory Luebke elected free agency. June 30, 2015 San Diego Padres sent LHP Cory Luebke on a rehab assignment to El Paso Chihuahuas. June 23, 2015 San Diego Padres sent LHP Cory Luebke on a rehab assignment to San Antonio Missions. June 13, 2015 San Diego Padres sent LHP Cory Luebke on a rehab assignment to Lake Elsinore Storm. November 3, 2014 San Diego Padres activated LHP Cory Luebke from the 60-day disabled list. October 25, 2013 San Diego Padres activated LHP Cory Luebke from the 60-day disabled list. March 31, 2013 San Diego Padres placed LHP Cory Luebke on the 60-day disabled list. October 29, 2012 San Diego Padres activated LHP Cory Luebke from the 60-day disabled list. 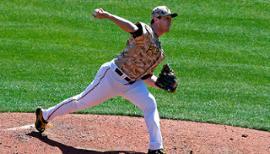 May 20, 2012 San Diego Padres transferred LHP Cory Luebke from the 15-day disabled list to the 60-day disabled list. May 2, 2012 San Diego Padres placed LHP Cory Luebke on the 15-day disabled list retroactive to April 28, 2012. Strained left elbow. September 1, 2010 San Diego Padres selected the contract of LHP Cory Luebke from Portland Beavers. July 15, 2010 Cory Luebke assigned to Portland Beavers from San Antonio Missions. May 23, 2010 Cory Luebke roster status changed by San Antonio Missions. April 6, 2010 San Antonio Missions placed LHP Cory Luebke on the 7-day disabled list. February 18, 2010 San Diego Padres invited non-roster LHP Cory Luebke to spring training. September 21, 2009 San Antonio Missions activated LHP Cory Luebke from the temporarily inactive list. September 1, 2009 San Antonio Missions placed LHP Cory Luebke on the temporarily inactive list. August 2, 2009 San Antonio Missions activated LHP Cory Luebke from the 7-day disabled list. July 16, 2009 San Antonio Missions placed LHP Cory Luebke on the 7-day disabled list retroactive to July 13, 2009. June 25, 2009 LHP Cory Luebke assigned to San Antonio Missions from Lake Elsinore Storm. April 9, 2009 Cory Luebke assigned to Lake Elsinore Storm from Fort Wayne TinCaps.